All That Is creates the Universe because of its desire to know itself completely. It expresses itself, then experiences those expressions as itself. We are part of that process. We are All That Is expressing itself as us, and our unique experiences are All That Is experiencing itself from our unique perspective. As chips off the old cosmic block, we too desire to express ourselves completely so as to know ourselves completely. We do this at three levels. The most intimate of these expressions is our inner experience of thoughts and feelings. The next most intimate is our bodies and the conditions and sensations they provide us. Next is our “exterior” reality, the world of objects, people, and events. We express ourselves in all three of these ways constantly. It is so automatic that we usually think no more about it than we do about our heartbeat or the digestion of a meal. It is so far in the background that we can be completely unaware that it is even happening, yet it is-constantly. Part of our nature as human beings is to transform our every thought and feeling into some form of expression. We can project them on any or all of the three screens: the body reality, the inner reality (thinking about our thoughts, having feelings about our feelings), or the physical, external world. We are here in this physical universe to learn to take responsibility for the contents of our conscious minds. Then we can express ourselves creatively, consciously, in whatever ways and at whatever levels are the most authentic expression of our hearts and minds. For now, let’s overlook the bodily and inner expressions, and focus on the external ones, the outer mirror of our most intimate thoughts and feelings. Our physical reality includes every object, person, and event within our experience. (Remember the word “experience” as just used. It is a powerful key to understanding the workings of the mirror.) It is at once an expression, a mirror, and a work of art. As a mirror, it provides us with the feedback we need to refine our creativity to best express our highest ideals. Imagine painting a picture in pitch blackness, without any feedback. The mirror cannot serve us in this way unless we understand and use it appropriately. This means we must realize it is a mirror, that it is there to express our thoughts and feelings most faithfully, and that it is a powerful and invaluable feedback mechanism in the bargain. We must learn to use it accordingly. What our physical world is not, is our enemy, dangerous, senseless, random, objective (in any meaningful sense), or separate from us. It is simply a true and accurate expression of ourselves within the properties of space, time, and matter. Think of it as a theater in which there are three projectors: the body, the interior universe, and the exterior universe. Each projector transforms the original image into expressions and experiences that are appropriate to one of the three screens. We experience the screens through our bodies, our inner senses, and our outer ones. These three arenas of experience are overlaid into a cohesive multi-dimensional experience of ourselves. This is what being conscious as yourself feels like. So what is the movie about? The film projected by all three cameras is the same: it is the ongoing contents of your mind and heart. That is what is projected on the screens which you experience as your life in progress. Now wouldn’t it be convenient if the moment we had a thought, it would suddenly appear on one or more screens. That would be the ideal kind of feedback loop. I think, I see, I think again. And in some systems of reality, that’s just about the way it is. You spend a third of your time in one of them: dreams. But we usually cast ourselves in the role of victim there, too. Even wonderful dreams often involve no awareness of our own creative forces at work creating it. Only in so-called lucid dreams are we able to take conscious charge of our dreams, to assume our true godhood. In our ordinary waking life, here in the physical world, things are a bit more demanding. Here we must create physical forms, not just thought forms, before we can experience ourselves as external events. This takes what we call “time.” It is also good practice in focusing our thoughts intently, precisely, so as to hasten their clear translation into the physical world. It is also important to learn to concentrate the emotions that accompany those thoughts, because the thought only gives the incipient reality its form, it is the emotions that provide it with the force to be manifest physically. It is the power of the feelings attached to the thoughts, along with the clarity of focus of the thoughts themselves, that determine how quickly the materialization occurs, how faithful to the original it is, and how profound its impact will be in the symbolic world of the physical. The clearer the thought, the sharper the reflection in the mirror: the stronger the emotion, the quicker and more powerfully the reflection will materialize. One of the rules of reality creation is that all thoughts and feelings must be materialized, not just the “nice” ones. Most of us are not here on some frivolous vacation, we’re after more serious fun. We are here to learn to become masters of conscious reality creation. How could we possibly do that if only our favorite thoughts were materialized? So even our most unpleasant thoughts must have their day in the sun, as always, in proportion to their clarity and the power of the emotions they carry with them. This can make for a very interesting stew when conflicts arise. 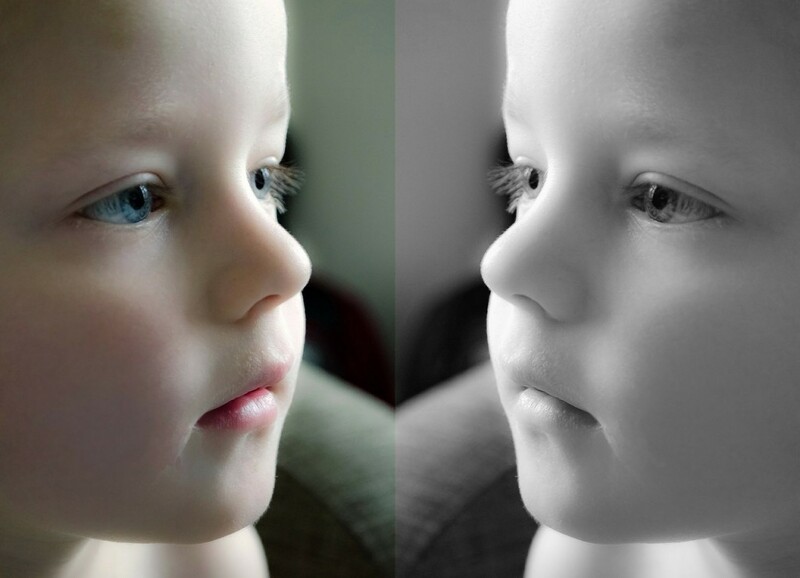 The key to interpreting our physical mirror lies in how we experience the reflections, for they are an exterior expression of our inner state of thought and emotion. The thought defines the form the events will take, and the emotion defines how we will feel about them when we meet them on the street. If the thought is about children, and the emotion is love, then we will draw children into our lives, and we will feel love toward them. If, on the other hand, we fear dogs, then our thoughts will create images of dangerous dogs, we will feel that fear, and we will project those thoughts and feelings outward into dogs we are afraid of. It is just that simple. If our thoughts are somewhat vague, then we allow some leeway in the particular form that will be created. If the thoughts and images are clear and vivid, then their expressions in the mirror will be faithful to those images. If the emotions are strong and clear, then so will our feelings about their reflections. As an example, suppose you believe that you must follow the rules as set down by society. You feel safe when you conform, and at risk of retribution when you don’t. Further suppose that you also resent the restrictions they impose on your creativity, spontaneity, and freedom. It makes you angry when you think of subordinating yourself to arbitrary rules. How do you express those two differing thoughts appropriately. There are countless ways. One is that you could grapple with decisions about whether to follow certain rules or not. You could even make it an obsession. You could become paralyzed by indecision if the feelings are strong and equal enough. Or you could bring someone into your life who is dealing with the same kinds of dilemmas, and experience yourself vicariously through them. You would observe them, and interpret their behavior in a way that allows you to feel the feelings that you yourself would have in the same situation. You could simply choose to be a conformist and deal with the inevitable frustration and resentment it brings up because of your desire to be more free. Conversely, you could be a free spirit and deal with the consequences of breaking the rules. A more creative approach might be to identify with one or the other view, and bring in someone else to play its opposite. Be the “team player” and recruit a non-conformist to express the opposite. Then you could experience one side directly through your own conscious thoughts, feelings, and actions, and experience the other view through your feelings about the reflection provided by the other person. Obviously, the roles could be reversed just as easily. What must be true, however, is that all of your beliefs, thoughts, and feelings on the subject be fully expressed in one way or another, and you must respond to those expressions in one way or another. That is how our kind of reality creation works. It is intrinsic to our humanity. What is not hard-wired is the choices we make about what we think and feel. We are taught that our feelings, and even our thoughts, are not chosen, but thrust upon us by exterior events over which we have no control. We do not create it, so we have no choice in how we respond to it. “He makes me angry,” is a typical view from this perspective. We seldom realize that we chose the thoughts and feelings that mandated the particular expression, and we can choose other thoughts and feelings if we want to. But first we must accept that we created the ones that are already manifest. You cannot give away what you do not own. I can’t change your mind. Nor can I sell your car, nor eat your dinner, nor die your death. Only you can do those things. In like fashion, I cannot keep you from “making me mad” as long as I see your presence in my life as your doing, not mine. Once I accept that you are a necessary expression of something in me, I can decide whether to continue to think and feel the things that put you (or someone else) there. This presupposes one thing, however: that I am able to find within myself the thoughts and feelings of which you are the external materialization. Again, the key is the experience I feel in regarding you. If I feel anger, then I must look within myself for that anger. Usually, it is unexpressed in me. That is why I need you to do it for me. I’m a nice person, and nice people don’t get angry without “good reason.” You provide me with that reason. Just realize that the people and situations in your life are there to bring your own feelings and thoughts to life. They are there to show you who you are (or at least who you think you are), like it or not. If you can’t find the thoughts and feelings that generate a circumstance, it will be very hard to change them, and consequently the reflection in the mirror. Now, we can often get an offending person or situation out of our lives by just leaving. Of course, since the real source was within us to begin with, and since we cannot escape ourselves just by moving on, it will be back. This is how people create an endless string of “bad” relationship, jobs, health, etc. They try to change reality (their own beliefs, thoughts, and feelings) by changing the reflection in the mirror (the people and situations they encounter). It is like walking up to a mirror and noticing that your hair is parted on the wrong side, then taking out your comb and applying it to the mirror image. Amazingly, the hair doesn’t change a bit, nor does the reflection. So you comb harder. No change. You get angry. No change. You cry and plead. Nothing. You pray. Nothing new. Finally, you stomp away convinced that the mirror is out to get you and there isn’t thing one you can do about it. You are powerless. And if that weren’t bad enough, you have this compulsion to seek out mirrors, each time hoping to see your hair parted “correctly,” but alas-every mirror turns out to be the same. Drat! Ring any bells? Realize that the “real world” is an expression of your (often unrecognized) thoughts and feelings. Accept that everything there is just such an expression. Realize that the way you feel about the reflection is the way you feel about the thoughts that require its presence. Find those thoughts within yourself. Change the original thoughts if you wish to. Wait patiently for the new thoughts to appear in the mirror. In case you haven’t yet noticed, this requires a high degree of self-honesty. You cannot expect to do very well with rewriting your reality unless you are willing to encounter yourself completely. This may stretch the bounds of your self-image beyond any previous limits. But that is why it is so important to do it. How close you come to the level of integration (and hence integrity) needed to live the happy, peaceful, magical life we all want, depends on your commitment to healing the differences between your conflicting beliefs. For more insight into the concepts presented here, watch this video.